A fact that sometimes surprises people when they hear it (myself included) is that I graduated an accredited, four-year private college with honors. I say that primarily to brag, but secondarily to let you know that often times I worked very hard in college in very difficult classes that stretched me mentally, academically, and sometimes physically (Ultimate Frisbee, spring quarter senior year…hey everybody should schedule a blowoff class their senior year). And while most of those classes demanded a lot of my attention and focus so I could keep my GPA at honors levels, my favorite classes were graded on what’s known as the pass/fail system. If you’re unfamiliar with pass/fail classes and somehow also not able to grasp exactly what a pass/fail class is just by the name, it’s a class where instead of an A-to-F grading system, there are only two grades: you either pass, or fail. No in between. That brings me to fall television’s new schedule of shows (I’m not big on segues). We’re all busy, and our leisure time is almost as valuable as our productivity time, so rather than go through and grade every new TV show on some sort of A-F, five star, ten point, etc. scale, I’m going to break it down very simply for you into shows that either pass or fail (assuming of course that the “class” objective of each show is getting you to watch). This guide is not exhaustive, it’s basically a handful of the new shows that looked interesting enough to me to DVR (I don’t watch anything live anymore that’s not sports), so if your favorite new show didn’t make the list of ones I’ve reviewed, I kind of don’t care. But still let me know in the comments because I’ll need something to fill the void in my life once Breaking Bad ends next week. Also, this list is pretty sitcom heavy because I like comedies and because like black people to Paula Deen, all dramatic hourlong serials look the same to me. 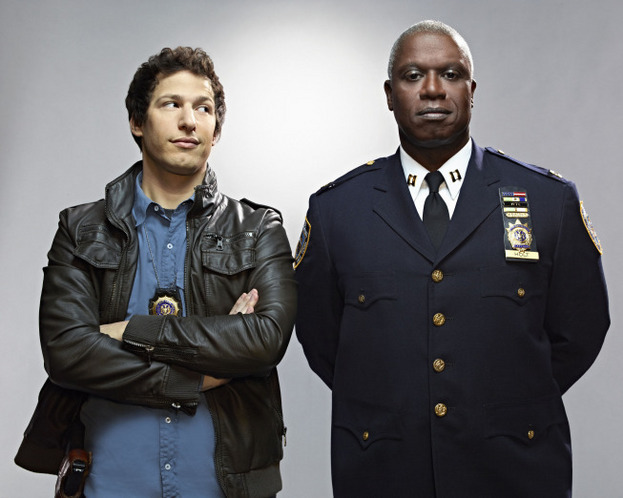 Andy Samberg’s first solo outing without SNL backup or his Lonely Island posse, the show’s premise is basically Reno 911 but in New York. I don’t know if a lot of you are Samberg fans or not, but I like him, and I think his quirky brand of positive comedy is a welcome balance to darker comedies like Louie and It’s Always Sunny and cookie-cutter network fare like whatever is on CBS right now (you’ll note I included exactly zero CBS shows on this list because all CBS shows (particularly sitcoms) are absolute garbage (except The Crazy Ones). Am I generalizing? Yes. Are sweeping generalizations sometimes accurate? Also yes. Did I just use three sub-parentheses in this parenthesis? Triple yes). Two episodes in to B99, I laughed pretty consistently. Grade: PASS. I’ll say it right now: I like Seth MacFarlane. I like Family Guy (even the new seasons), I liked Ted, I loved his hosting job at the Oscars (sorry, classy friends). I already like his new movie, A Million Ways to Die in the West, and it doesn’t even come out for another year. So yeah, I was biased toward this MacFarlane-created sitcom from the start. I wanted to like it, I really did. But, I didn’t. 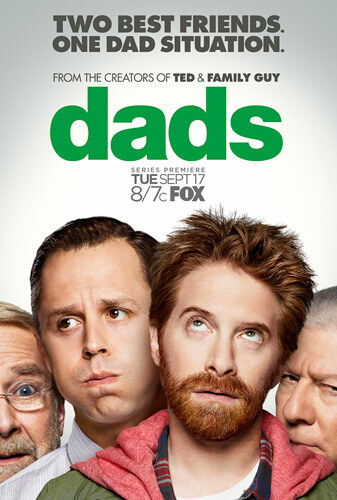 The jokes are hit-or-miss at best (leaning more toward the “miss” side), the leads aren’t that engaging or funny to me (not a Seth Green fan, never have been), and any modern-day tv show that still uses a laugh track already starts at a deficit in my book. The premise is okay, and I appreciate the postmodernist idea of kids having to support their folks at an increasingly younger age, but none of it felt that original or funny to me. 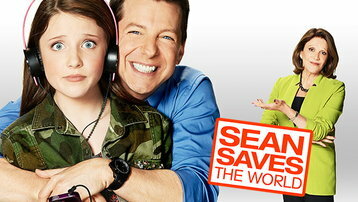 Maybe it will get funnier after it’s cancelled and brought back a few years later, ala Family Guy. Grade: FAIL. 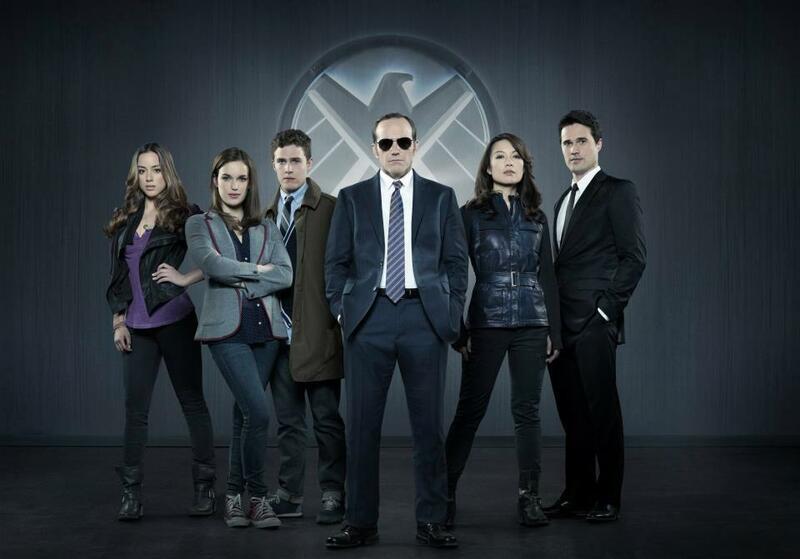 Agents of SHIELD (ain’t nobody got time to put all those periods between letters, so just know that it’s an acronym, ok?). Agent Phil Coulson’s Marvel/Avengers character and Clark Gregg’s acting career are both deservedly resurrected in this weekly sci-fi series that takes place in the same universe as IronMan, Captain America, Hulk, and Thor (though never close enough to get them any screen time). As someone who’s been looking for a replacement for Heroes ever since it went bad after the first few seasons, I’m excited for Agents mostly because it’s the exact same premise as Heroes was, just with a better producing team that (hopefully) learned from the sustainability mistakes of previous attempts at this sort of show (Alphas, The 4400, et al). One episode in I like, don’t love, it but if the Marvel world has taught us anything it’s that the payoff is pretty consistently worth the buildup, so I’m giving it a few more eps to convert me from cautious optimism to full on fangirl. Grade: PASS. I’m going to save you the trouble of reading my summary of this show and just show you the promo poster instead and let you make your own extrapolations from there. Quickly becoming my favorite atheist (sorry Jamiroquai and Nick Caruso), Ricky Gervais’ latest offering is a show that displays deep understanding of and respect for the human soul (ironically from a man who doesn’t believe they exist). 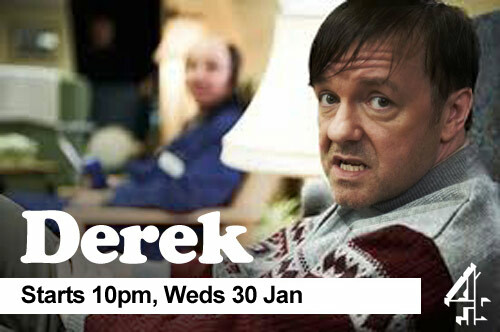 Like the UK version of The Office (if you haven’t seen it, ask your most pretentious friend for a summary, he/she will have), and his lesser-known (but far superior) show, Extras, Derek takes the ordinary (borderline pitiable) and spins it into something fascinating, extraordinary, heart-wrenching and heartwarming. All in 22 minutes. And as an added bonus, this one is a Netflix original, so there’s no killing time for an entire week between episodes. Grade: PASS. What if there was a show just like The Wonder Years, but like, less naïve and more self-aware? Also, ‘80s references. 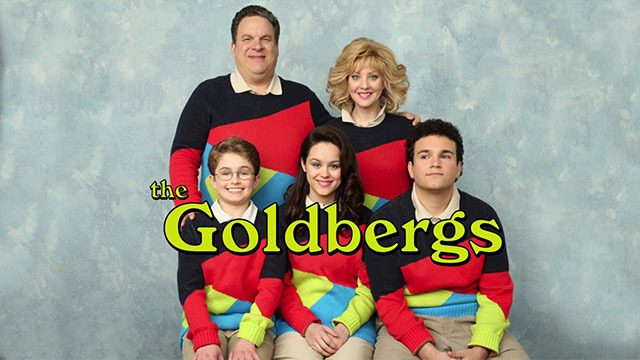 That’s basically the premise for The Goldbergs, and if it sounds a little thin, that’s because it is. As an SNL sketch, I love it. As a television show that’s meant to last anywhere from five-to-eight seasons, I’m not on board. The pilot didn’t blow me away, and I don’t see it having a lot of room to grow from there. But if I don’t like it, that probably means the general public will love it. Because that’s the purgatory I live in where 30 Rock and Party Down are off the air but Two and a Half Men is still around and Big Bang Theory just won a handful of Emmys. I can’t sigh exasperatedly enough to describe how I feel about that. Grade: FAIL. 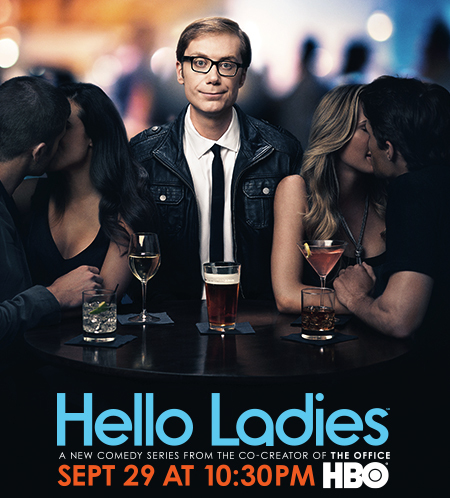 Stephen Merchant is a name most of you won’t know, but he’s the creative Yin to Ricky Gervais’ Yang. Except if Yin and Yang were both equally funny in the same way instead of being opposites. Okay so maybe the analogy doesn’t hold up all that well, but for years Stephen Merchant has struck me as Gervais’ wildly underrated comedic equal, and now he’ll finally get the chance to prove me right that he’s been waiting for all these years. Hello Ladies is Merchant’s vehicle and blah blah blah some pun about a sports car and/or cruise control, just watch this show already. You will like it or your money back. Worth stealing your friend’s HBOgo login if you don’t already have one. Grade: PASS. Well that’s all the grading the FCC will legally allow me to do this week (none of that is true), but check back next week (or whenever I get around to it) for my thoughts on the next wave of TV premieres. And in the meantime don’t forget that South Park, It’s Always Sunny in Philadelphia, The League, and New Girl have have all started back up if you’re looking for a comedic safety to fall into in case none of the new shows strike your fancy. …Want more Mind Bullets? New posts go up every Wednesday at noon PST (or as close to that as I feel like), and you can subscribe if you want them delivered right to your inbox. Or if you’re too impatient to wait that long you can follow me on twitter, instagram, youtube (new videos every Monday), and my boring personal website. Whew, that’s a lot of self promotion…even I don’t like me enough to keep up with all that.